REUTERS/Toby MelvilleA painted sign for a public house named ‘The Banker’ is seen in the City of London. A major report out today from the New City Agenda and Cass Business School offers a pretty brutal exposé of how retail banks behaved in the run-up to the financial crisis in 2008. It includes the bizarre cabbage-based torment of employees who weren’t making sales. 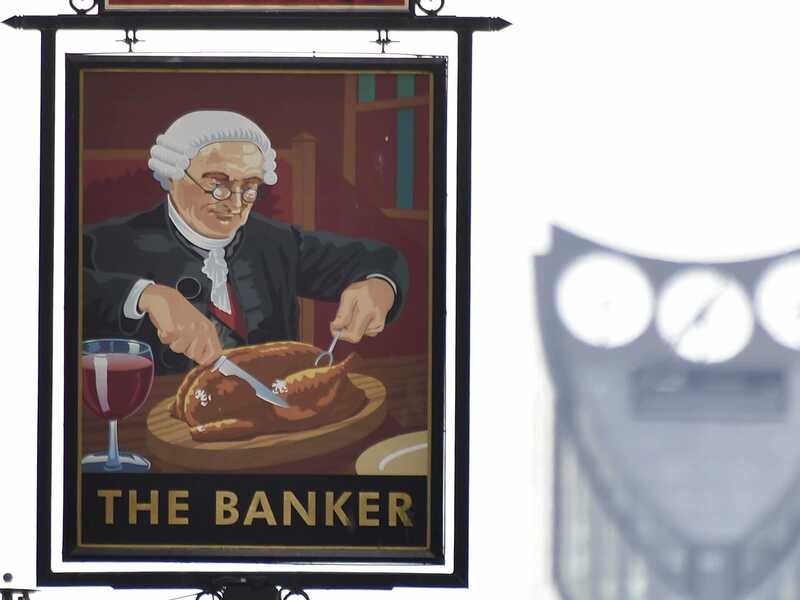 But it also breaks down how British banking ended up in its current state, with very little competition, and just a handful of enormous financial institutions dominating high-street banking. First of all, here’s how 16 major banks and two building societies just became the five massive institutions that dominated the UK today. 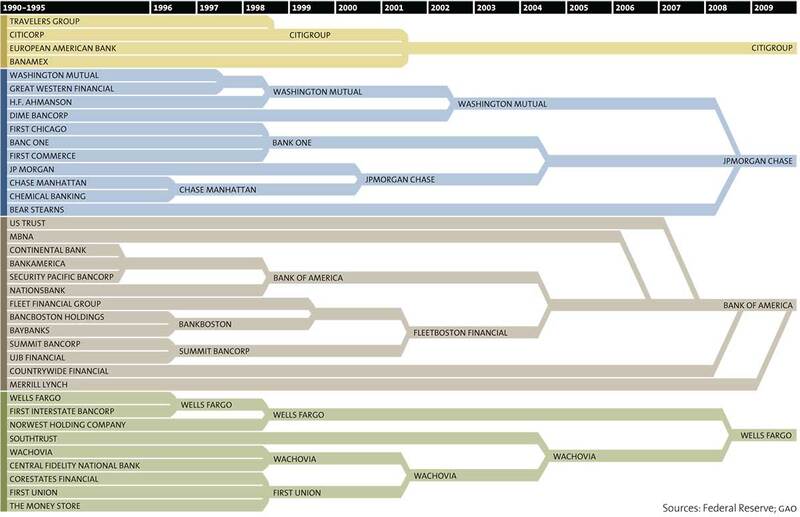 It’s reminiscent of a similar and famous one made by Mother Jones, showing just how many US banks used to exist, and how they have been merged and consolidated into a series of behemoths. 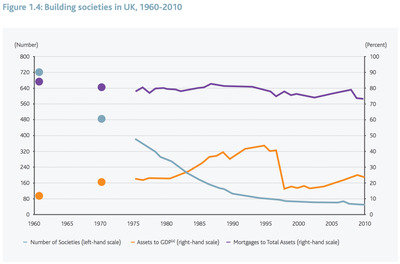 But that’s not actually the full story, because it underestimates the amount of variety in financial institutions that existed 50 years ago, and has since disappeared. Building societies, a mutual sort of deposit and lending organisation, used to be once of the major parts of British household finance. Today, they still have significant assets, but their numbers have plummeted. 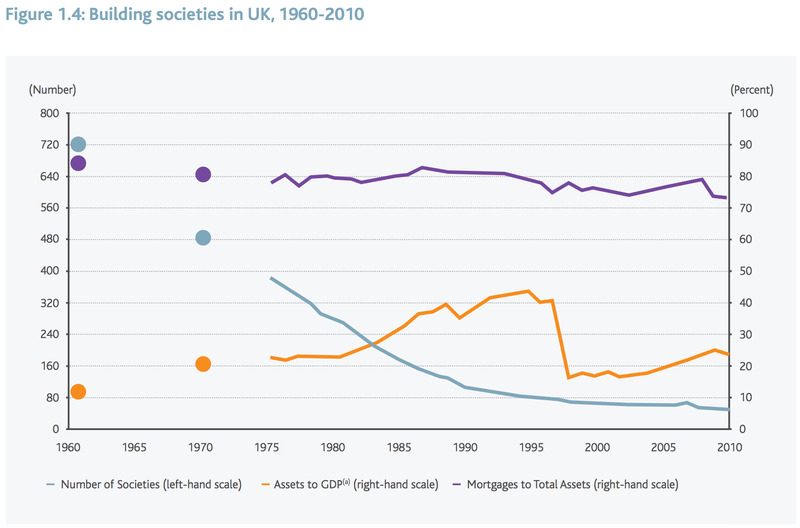 So the UK was left without building societies: but what about banks? In the US, thousands of small and micro-sized banks exist alongside the giants. Why not in the UK? Well, they did. But they started dying off even longer ago. 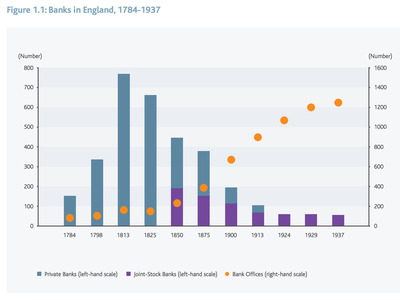 At the end of the Napoleonic wars, there were more than 700 private banks, for a population of just over 10 million. These institutions were run by partners who were personally liable for their performance. Over time, they were replaced by a dwindling number of join-stock banks (where managers were not liable for their performance). 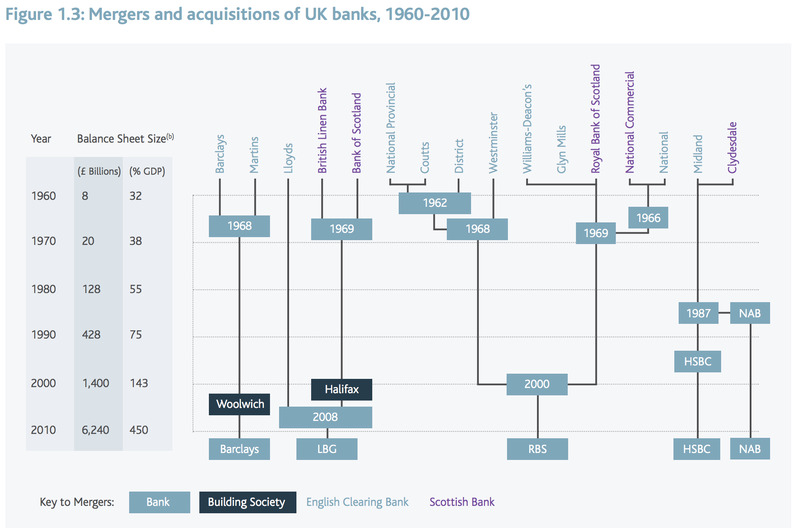 These banks merged with and acquired each other until there were very few, but the ones that did exist were large and had a lot of branches. 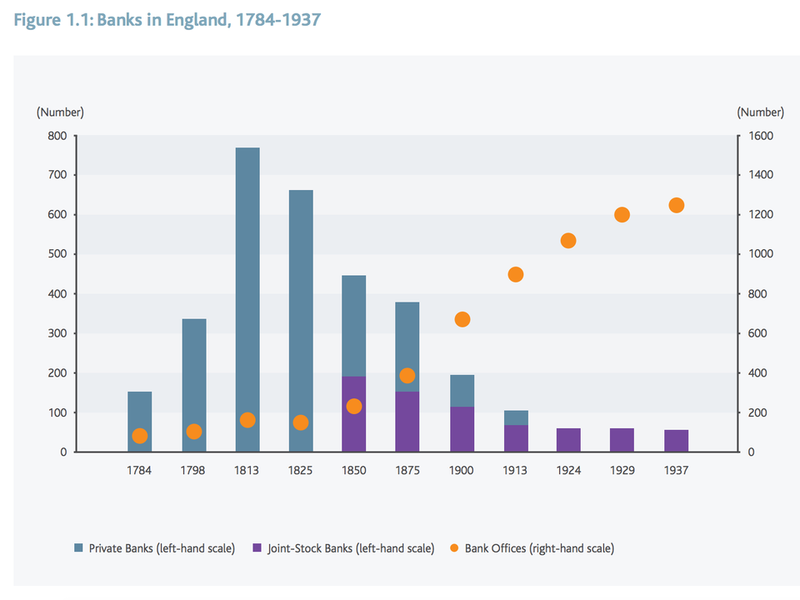 This change, combined with the decline of building societies over the 100 years after, goes a long way to explaining why British banking looks so much like a cartel today.